According to a 1982 interview, Kessel explained that the film came about because Jazz producer Norman Granz (right) wanted to recreate on film the jam session music format he had helped popularize in the Los Angeles jazz scene in the 1930s and early ‘40s. Granz selected an impressive roster of musicians for the film. The list of performers included Lester young (Tenor Sax), Red Callender (Bass), Harry Sweets Edison (Trumpet), Marlow Morris (piano), Kessel (guitar), John Simmons (Double Bass) Illinois Jacquet (Tenor sax) Marie Bryant (vocals) and Sid Catlett and Jo Jones (drums). Kessel recalled that he became involved with the film because he was one of few musicians playing electric guitar in Los Angeles at the time. He had been a regular in many of the local jazz clubs, and already had a strong reputation with Norman Granz. Granz allowed the musicians to choose their own songs for the film. Kessel recalls that Director Gjon Milli encouraged he and the other musicians to dress and behave as they would if they were going to play a regular show. The way the film was made was by first recording the music to be used in the film, and then filming the musicians playing along to the music as it was played back to them. Years later Kessel chuckled at how the musicians couldn’t always recall exactly what they had played during the recording sessions because it was very improvisational. When it came time to simulate playing along with the recording, the two didn’t always match up. Most notably, and somewhat controversially, Kessel was the only white musician in the film. Granz was trying to advocate for the end of segregation in music, both for audiences and band members. He took the same approach with Jammin the Blues, to the dismay of Warner Bros mogul Jack Warner, who insisted that a black guitarist be found to make an all-black band, lest the film perform poorly in the segregated South. Granz refused to do so. Kessel described Granz as a real proponent of music as a meritocracy – Granz believed using a black guitarist to keep the film’s band from being integrated was just as racist as any other segregation. Either you could play, or you couldn’t, and Granz would have no one who couldn’t play. The compromise reached was to hide Kessel in the shadows. Kessel’s entire recollection of the film is a positive one. “Of all the things I’ve done [in film]”, he said, “that was the most relaxed.” He liked how the Gjon Mili and Granz did not manipulate the performance – instead they “captured what’s going on” and presented it naturally. 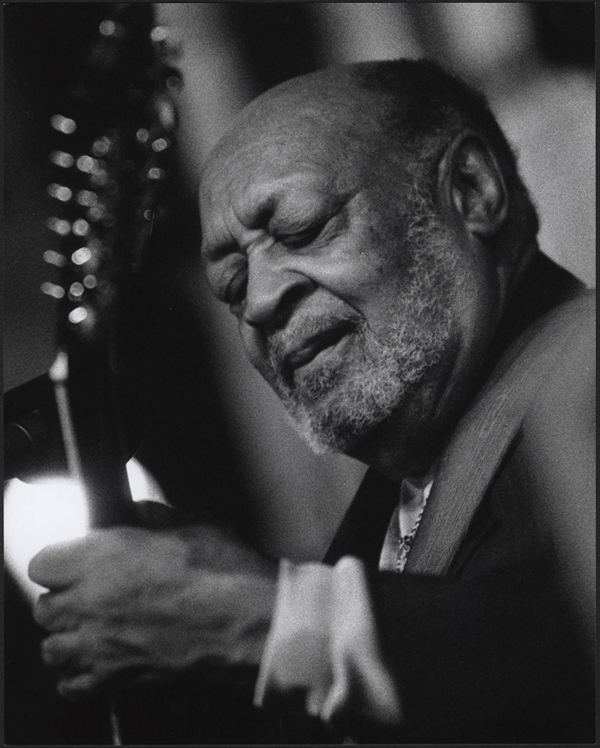 Compared to the music and film of the 1970s and 80s (he was interviewed in 1982) Kessel thought that the artistic value and quality of Jammin the Blues was twice as good. Kessel was a man of strong opinions, and he clearly had a high opinion of the film and his fellow musicians, especially Lester Young. He believed that the film captured a particular moment in music history, one that was driven both by the innovative producers like Granz and performers like Kessel and Lester Young who together made some of the best music of that or any other era, and also defied the racial mores that still hamstrung black men and women in much of America. Barney Kessel Collection, MS295, LaBudde Special Collections, University of Missouri-Kansas City. What do Barney Kessel and Audrey Hepburn have in common? Well, May is a significant month in both of their lives, but for entirely opposite reasons. Hepburn was born May 4, 1929. Kessel passed away after a long battle with brain cancer on May 6, 2004. They are also connected by Breakfast at Tiffany’s, which was released in October, 1961, the same month as Kessel’s birthday. Fans of the film’s music may or may not know that in 1961, Reprise Records released Kessel’s own version of Henry Mancini’s iconic score. The iconic score of Breakfast at Tiffany’s is just one of Henry Mancini’s (above) accomplishments. It’s not entirely clear how much Kessel was involved in making the original score. However, in the Kessel collection are original orchestra copies of Mancini’s arrangements. These would have been given to the members of the orchestra. Kessel either kept or somehow got these, and then used them to write his own versions of the songs. These items are valuable for music historians and musicians alike first because they are rare, and second because they demonstrate Kessel’s musical genius. [ngg_images source=”galleries” container_ids=”6″ display_type=”photocrati-nextgen_basic_imagebrowser” ajax_pagination=”1″ order_by=”sortorder” order_direction=”ASC” returns=”included” maximum_entity_count=”500″]Here is a brief outline of what Kessel did differently. (Disclaimer: Yours truly is no music expert, and owes thanks to LaBudde Special Collections Graduate Student Assistant and Performance DMA student Anthony LaBat for helping to explain this.) Most noticeably, Kessel changed the instrumentation. He assimilated different parts from the Mancini score into parts for his versions. For example, in “Latin Golightly”, he assimilated the original Alto Sax & Trumpet, and Trombone & Baritone horn parts into a single part, which he played on guitar. Victor Feldman and Bud Shank also played that assimilated part on Vibraphone and Flute, respectively. For the bass, Kessel wrote an entirely new part that may have been modeled from the existing bass track, but was almost completely different in pitch and made rhythmic changes as well. In “Moon River Cha-Cha” Kessel again played the saxophone part on guitar, but he raised the pitch slightly throughout. Kessel was a master at chords, and chord harmonies. He made subtle adjustments like the ones in Moon River Cha-Cha to “revoice” chords. Doing this changed how the different chords in a progression pulled to one-another. In some cases it may have changed the entire progression. He also did this in “Sally’s Tomato” when he combined the trumpet and the alto sax into Bud Shank’s flute part. There was no dedicated flute part in Mancini’s original. Other changes include adding bongos to some of the songs, combining piano and guitar parts into rhythm guitar, using existing trombone fills for guitar fills between choruses, cutting out some bars, and recombining parts of choruses to make his own. 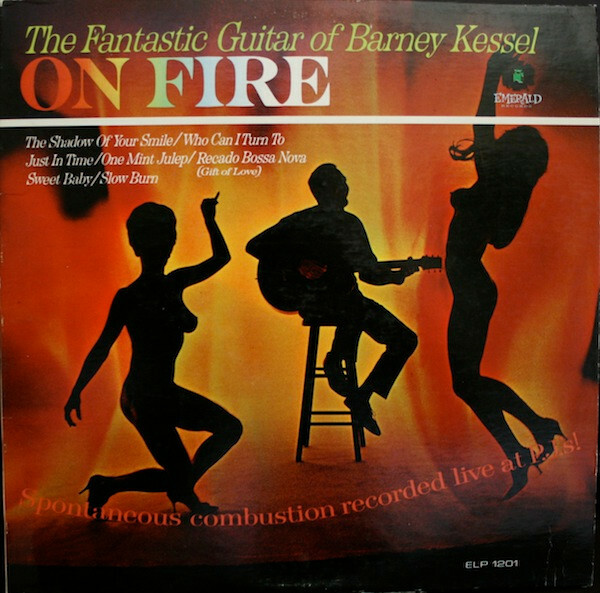 Also in the Barney Kessel collection is an original reference copy of Kessel’s album, which would have been made by the recording studio for band members. The full album was released on vinyl in 1961. Listen to the songs below and see if you can hear the differences, like the flute playing the original trumpet and sax part in Sally’s Tomato. In Moon River Cha-Cha, compare the guitar, flute, and vibes in Kessel’s version to the saxophone in the original. Also, listen for the guitar playing the trombone fills – it starts at about 1:15 in both videos. If you want to listen to any of the songs from Breakfast at Tiffany’s, we have multiple copies of both the Mancini originals, as well as the Kessel version in the Marr Sound Archives. One year ago, LaBudde Special Collections (LSC) and the Marr Sound Archives (MSA) made a valuable and historic addition to our collections through the remarkable generosity of Phyllis Kessel, widow of legendary guitar player Barney Kessel. Mrs. Kessel donated her late husband’s collection of nearly 400 audio/video items and hundreds of print documents. It turns out that one of hardest-working musicians to ever pick up a guitar was also a meticulous archivist. 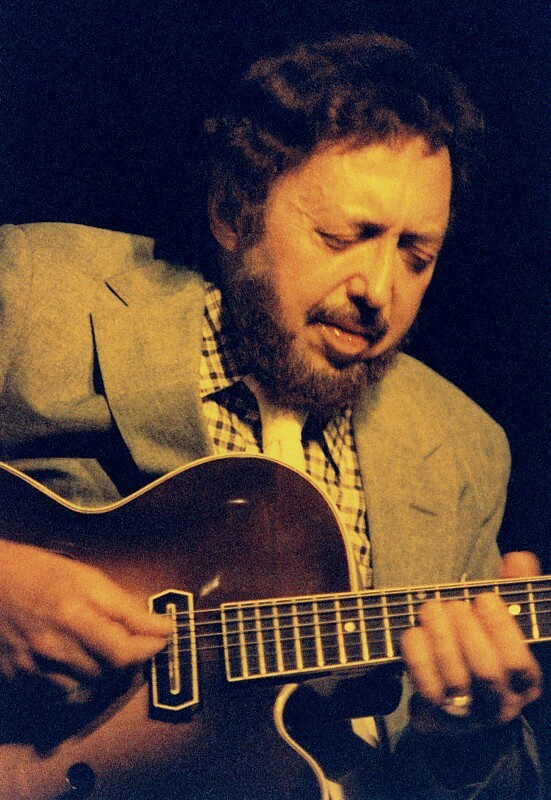 As a result, the Barney Kessel collection is a goldmine for music historians and fans alike. Through the efforts of LSC Graduate Student Assistant Anthony LaBat, MSA Public History Intern Taylor Bye, and the rest of the LaBudde and Marr team, we have finished processing the collection. This is the first of a series of posts taking a look at the breathtaking scope of Kessel’s career and offering a tiny taste of what the collection holds. By the 1960s, Kessel’s reputation was growing. In 1965, he made his first live record at P.J.’s Nightclub on Santa Monica Boulevard in West Hollywood, just a few blocks over from the Sunset Strip. 1965 was right as the Sunset Strip was entering its heyday as an epicenter of American Rock & Roll. Another singular item in the collection is what we believe to be an unreleased recording made for Reprise Records (part of Warner Brothers) in either the early or mid-1960s. The recording features Kessel playing alongside tenor sax whiz Zoot Sims. With Kessel and Sims were Monk Montgomery, Johnny Gray, and John Piscatelli on bass, 2nd guitar, and drums, respectively. According to a 1992 letter, Warner Brothers never released the album, though Kessel wanted them to release it as a CD. For copyright reasons, we can’t upload any of the material from that session. However, it is just one example of the unique items in the Kessel collection that researchers can use to uncover new stories about the history of American music. It’s probably 16 inches wide, and you hold it carefully by the edges. It could be made of glass or aluminum, coated with black cellulose nitrate. If you’re lucky the coating hasn’t started flaking off yet. Alternatively it might be made of vinyl, like an LP, but bigger. It plays at 33 1/3 RPM, holds 15 minutes of recorded sound, and was a key tool in the development of syndicated radio programming in the United States. We’re talking about transcription discs. In the 1920s, radio stations needed a way to replicate and share programming consistently. They weren’t allowed to play commercially released records on-air because musician’s unions believed that hurt record sales. So radio content had to come from somewhere else. Live broadcast was inconsistent, time consuming, and expensive. Not every radio station could afford to have its own in-house musical groups, but all stations wanted to attract more listeners. At this time the first radio networks were beginning to form. The National Broadcasting Company (NBC) was created in 1926, and Columbia Broadcasting System (CBS) was formed in 1927. As these networks made more programming and acquired more satellite stations, they needed a way to distribute programming. Larger radio stations were creating programming of their own that they wanted to share with the networks. In short, there was a huge market for pre-recorded radio programming, but distribution of content was still a major hurdle. Transcription discs were the solution. By the 1930s, transcription disc recorders had become ubiquitous at larger radio stations. Program producers were able to pre-record a program, make copies, and distribute it to other radio stations for future broadcast. This meant that stations in networks could all get the same programs. Individual stations could also add out-of-network programming to their repertoire by purchasing them from distributors. A station could also record its own unique local program using transcription discs, and then re-use it later. As a result, small stations could avoid the expense of live programs. Bigger stations and networks could get their shows to a wider audience. This meant listeners in Boston, Kansas City, and San Francisco could hear the same program at the same time. The ability share programming is a big reason why radio contributed to the growth of popular culture across America. To paraphrase Marr Sound Archives director Chuck Haddix, “radio was like the internet” because it brought people closer through information sharing. Everybody got to hear the same radio programs and news broadcasts, giving people similar cultural and political knowledge. We take this for granted today. Imagine for a moment a conversation with someone from two or three states away. They hadn’t heard Adele’s latest song or weren’t able to listen to that Ted Talk that enthralled you. Of course the opposite would be true as well. Its 75 degrees here in Kansas City. What snow storm in Ohio? That political protest in Washington that they went to? You had no idea until weeks later. Certainly newspapers allowed content-sharing, but radio was a huge leap forward, and it’s largely thanks to the humble transcription disc. One of the big 1930s radio stations that made a lot of transcription discs was KMBC here in Kansas City. Many of these discs are now held in the Marr Sound Archives. KMBC joined CBS in 1928 as the 16th affiliated station. In 1930 station moved to the eleventh floor of the Pickwick Hotel. Under the direction of Arthur B. Church, KMBC became a model for other stations. Church and KMBC produced a wide variety of syndicated shows which were recorded on transcription discs and then distributed. One of these programs was the Texas Rangers. Another example from the KMBC collection that highlights the importance of transcription discs is a recording of one of Franklin D. Roosevelt’s “fireside chats.” The recording can be heard below. It was made by CBS at the White House on May 2, 1943. It was then presumably broadcast by all CBS network stations, including KMBC. FDR could not have reached the entire country without transcription disc technology. Museum of Broadcast Communications. Encyclopedia of Radio. Edited by Christopher Sterling. Vol. 3. London: Fitzroy Dearborn, 2004. The ERA eventually passed the Senate in the spring of 1972. As with any potential amendment, it then went to the states for ratification. It needed 38 states to ratify for passage, but only received 35 before the expiration of the ratification deadline. 5 other states eventually rescinded their ratification. The ERA still has support, and has been re-proposed numerous times. However the campaign of the 1970s remains its high water mark. LaBudde Special Collections houses some memorabilia related to the ERA crusade of the early 1970s. This post brings you a pamphlet with several “Songs to Pass the ERA By” (pictured below). The small collection of songs appears to have been compiled from contributors, whose names and locations are noted with each song. The songs in the brochure are drawn from several sources. First, “Shoulder to Shoulder” is derived from the song “March of the Women.” “March of the Women” was written in 1910 by two Englishwomen; composer Ethel Smyth and actress/writer Cecily Hamilton. The “call to battle” theme continues with a song set to the US Army marching tune “Caissons Go Rolling Along.” Like “March of the Women,” it focuses on unity, or “sisterhood.” The other contribution to the NOW songbook that draws on American patriotism was a pro-ERA song set to the tune of “America the Beautiful.” This song is not a call to battle, instead it is a celebration of a brighter future in which men and women are “living in full equality.” The battle to pass the ERA coincided closely with the bicentennial of the United States, a point the NOW songwriters did not overlook. Both patriotic songs emphasized that 200 years had passed since the Declaration of Independence. These songs are evidence that ERA supporters saw themselves as part of a much wider movement. By borrowing from patriotic American traditions, they linked themselves with America’s past. They also looked worldwide, borrowing from longs of resistance and political movements written in other countries. Finally, the songwriters cleverly recycled one of the most famous commercial jingles ever written into a song for political action. This is a small document, but it encapsulates the vibrancy of the ERA movement and the NOW membership. Whether “Bella Ciao” or “Row Your Boat,” songs can become more than the sum of their parts, and music’s flexibility as a medium allows its use by groups across space and time. NOW Collection, MS-302, LaBudde Special Collections, University of Missouri-Kansas City. Elizabeth Crawford, The Women’s Suffrage Movement: a Reference Guide, 1866–1928. (London: Routledge, 2001). We all know Aretha Franklin. She is (for now) the most successful American female solo artist in history. She’s the Queen of Soul who recorded the song that became an anthem for women everywhere. In 2010 Rolling Stone ranked her as the #1 singer of all time, saying “when it comes to expressing yourself through song, there is no one who can touch her. She is the reason why women want to sing.” On February 9, 2017, Rolling Stone also announced that Franklin is retiring from public performing following the release of her next album. With that in mind, we at the Marr Sound Archive want to give you a taste of some of her work that is in our collection. Some of this you may know, some not. We’ll start with the song everyone knows (or should know), and work backwards to her earliest record. This year marks the fiftieth anniversary of the recording and release of “Respect,” recorded at Atlantic Records Studio in New York City on February 14, 1967. The song was the lead track on the album I Never Loved a Man the Way I Love You (released March 10, 1967, Atlantic 8139) and was later released as a single (April 29, 1967, Atlantic 45-2403). We have both the albums and the historic single. “Respect” was produced by Jerry Wexler. Wexler worked with Franklin from 1966-1975. He also has connections to the Kansas-Missouri area. In the 1930s, Wexler attended Kansas State University. Outside of school he received his introduction to Jazz and Blues music by visiting bars and music clubs along Twelfth Street in Kansas City. 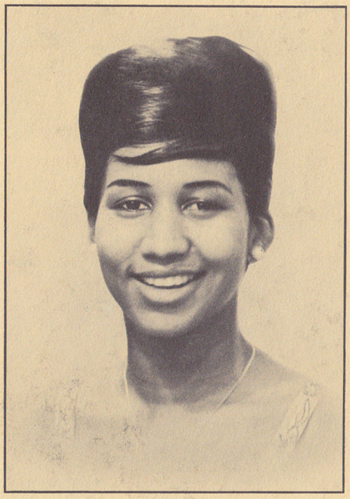 Prior to working with Wexler at Atlantic Records, Aretha was with Columbia Records. Her first secular album was Aretha: with the Ray Bryant Combo, (Columbia CL1612) released by Columbia in 1961. In addition to vocals, she played piano on four tracks: “Won’t be Long” “Who Needs You?,” “Are You Sure” and “Maybe I’m a Fool”. At 18 she was still a somewhat raw talent. Below are short clips transcribed from our copy of the album. Listen closely to “Maybe I’m a Fool” and you can hear her voice break just a little. Ray Bryant and Aretha were both signed to Columbia Records by producer John Hammond in 1959. Like Wexler, Hammond had some connections to Kansas City, having signed Count Basie to Columbia in 1936. 1959 was a big year for Hammond. That year he signed Aretha Franklin, Pete Seeger and Bob Dylan, all of whom were under the age of twenty. Aretha Franklin got her start singing at New Bethel Baptist Church in Detroit. Her father, Clarence LaVaughn Franklin, was minister there from 1946 until 1979. C.L Franklin became a central figure in the black community. According to Mark Bego, the Franklin home “played host to a virtual who’s who of popular black music.” Young Aretha was part of the church choir. Her father recognized her talent, and at 14 he began taking her to other churches to perform with gospel groups. As Reverend Franklin’s own legend grew, he organized a “traveling revival show.” As a teenager, Aretha spent several summers traveling with the road show’s choir. At the same time, Joe Von Battles was recording LPs of Reverend Franklin’s sermons. Battles was a Detroit record shop owner, and founder of JVB Records (later changed to Battle Records). In 1956, Battles recorded 14-year old Aretha Franklin at New Bethel Baptist Church. The Marr Sound Archives does not have any copies of Battle’s original album. In fact, original JVB/Battle pressings are quite probably the rarest of all Aretha records. Fortunately, the songs Battle recorded have been re-issued a number of times by Chess, Checker, Geffen, and other record labels. In our collection is a 1982 issue by Checker Records (Checker LP CH8500), for which music critic Peter Guralnick wrote the album notes. 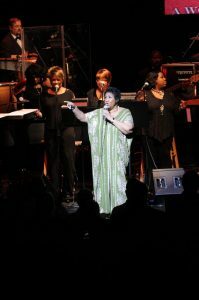 Of Franklin’s performance, Guralnick wrote “everything that Aretha would one day become, the same soulful struts that she would put into “I Never Loved a Man, “Respect,” even funky old “Dr. Feelgood,” are all here in the plain, unvarnished, but far-from-simple truth of hymns.” We are not professional music critics, but having listened to this album we think it is pretty extraordinary. The lead track on that album can be heard below. The preceding barely scratches the surface of Aretha Franklin’s extraordinary life and career. She was a true prodigy, a gifted singer surrounded my other successful black musicians. She was seemingly destined for stardom from an early age. However her personal life was marked by a series of devastating emotional experiences. In his biography, Bego concludes that both of these factors shaped her music. Hopefully hearing her sing at various stages in her life gives readers a greater appreciation for the treasure she truly is. Aretha Gospel. Recorded September 10, 1991. Geffen, 1991, Streaming Audio. Accessed February 20, 2017. Bego, Mark. Aretha Franklin : The Queen of Soul. New York: Skyhorse Publishing, 2012. Marr Sound Archives contains well over 100 entries for Aretha Franklin in our Library Catalog. Among these are many of her classic LPs and singles, including the ones mentioned in this post. We hope you’ll come listen to some of them soon! Correction: Previously this post had a full version of the 1956 album. Since only UMKC network users could stream it, we’ve replaced it with a youtube link. The whole album can be heard at the Marr Sound Archives. 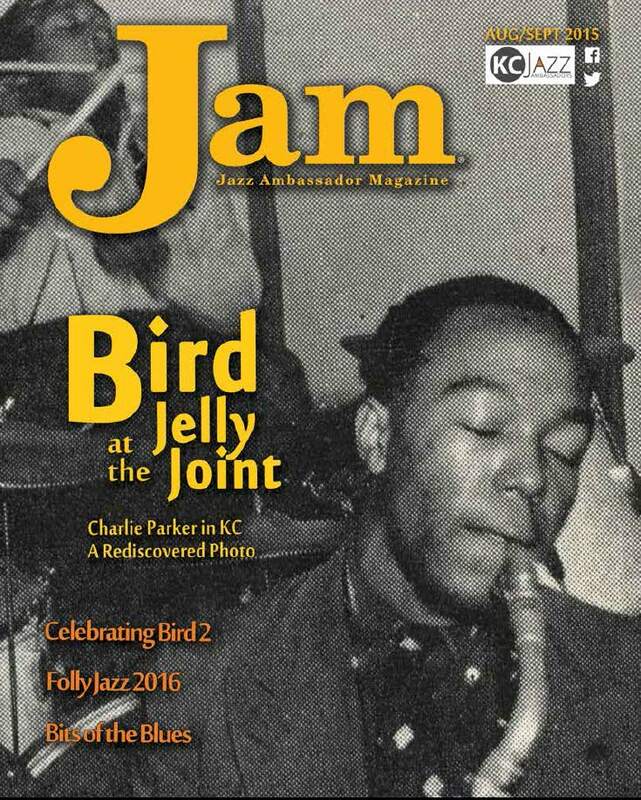 Rare Charlie Parker Image Discovered! Charlie Parker playing at the Jelly Joint, a hangout frequented by students from the University of Kansas City (now UMKC). In October 2012, the Marr Sound Archives completed an 18-month National Endowment for the Humanities grant to catalog and preserve the nearly 3,000 broadcast recordings in the Arthur B. Church KMBC Radio Collection. Please enjoy this series of anecdotes recounting the unusual discoveries and amusing happenings in the course of working with this collection. This is the fourth in a series of Tales from the Archives. The KMBC Texas Rangers “Gentlemen in the White Hats.” Credit: Arthur B. Church KMBC Radio Collection, Marr Sound Archives, University of Missouri-Kansas City. It seemed like everyone on the project team had discovered some new interest when working with the collection. One student became so engrossed in the developing drama on the show Vic and Sade, she hoarded all the discs to herself. For me, it was the Western swing group, The KMBC Texas Rangers. The unedited cuts of this musical octet perfectly demonstrate the unique chemistry the group had. It was hard not to be captivated by them, with names like: Clarence “Idaho” Hartman (bass fiddle), Gomer “Tenderfoot” Cool (fiddle), Joe “Monty” Strand (accordion), Herbie “Arizona” Kratoska (guitar and banjo), Fran “Irish” Mahaney (tenor), Rod “Dave” May (tenor), Robert “Captain Bob” Crawford (baritone), and Edward “Tucson” or “Tookie” Cronenbold (bass). 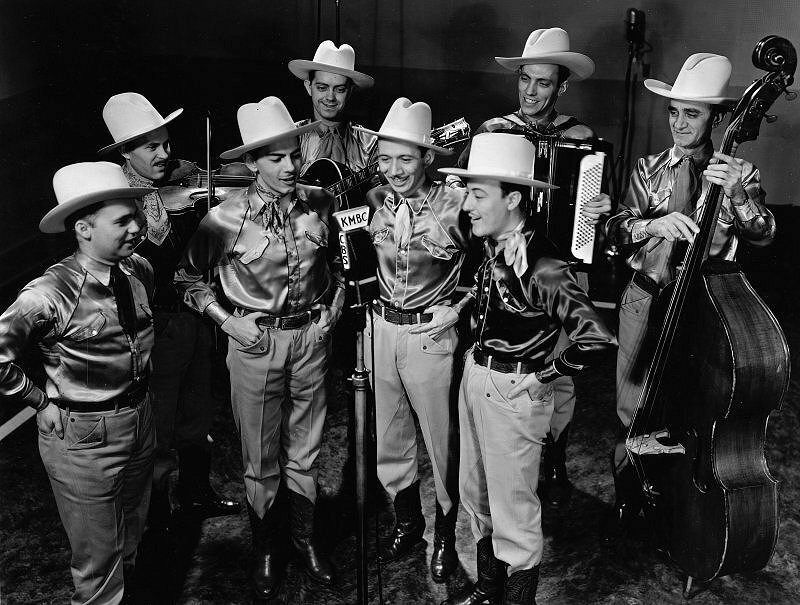 Garbed in Western wear, topped with classic white hats, their versatile musical repertoire included hymns, cowboy songs, novelty, and western swing. When I guest lectured for the Conservatory (UMKC), I ended with the Texas Rangers’ rendition of “Hand me down my walking cane” which inevitably got stuck in everyone’s head. It’s entertaining and hopefully served as a distraction from the terrible guest lecture they just sat through. Image above: Tex Owens, the original Texas Ranger? Image courtesy of Orlene “Kit” Johnson and Irene “Kay” Dierks. As we soon discovered, the Texas Rangers weren’t without their own drama. 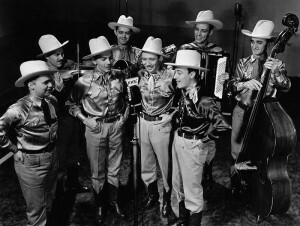 In their early radio programs, they were often fronted by special guest, Tex Owens. 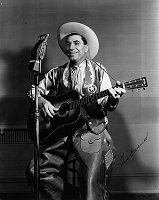 Owens, who played guitar and sang with the group on occasion, was never officially a member, but somehow left his mark in history as “The Original Texas Ranger.” There seemed to be a great deal of tension between Tex and the boys which reached its climax when Texas Governor, James V. Allred, commissioned the musical group The Texas Rangers, along with Tex Owens, as honorary members of the state’s famed law enforcement group. The honor bestowed upon the Rangers prompted them to compose an interoffice memo expressing their disappointment that Tex would be honored alongside them considering he had not been a member. The memo also included some disagreements between the group and Tex. You can read more about this controversy, see the original memo, and learn of the outcome from a blog post written by one of the project students: Tex Owens: A Case of Mistaken Identity? Find out more about the Church-KMBC collection. 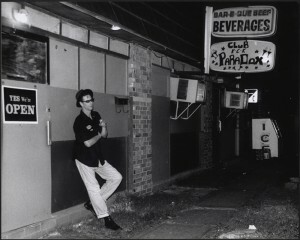 Alan Mercer at Club Paradox – Kansas City, KS 7/8/02. 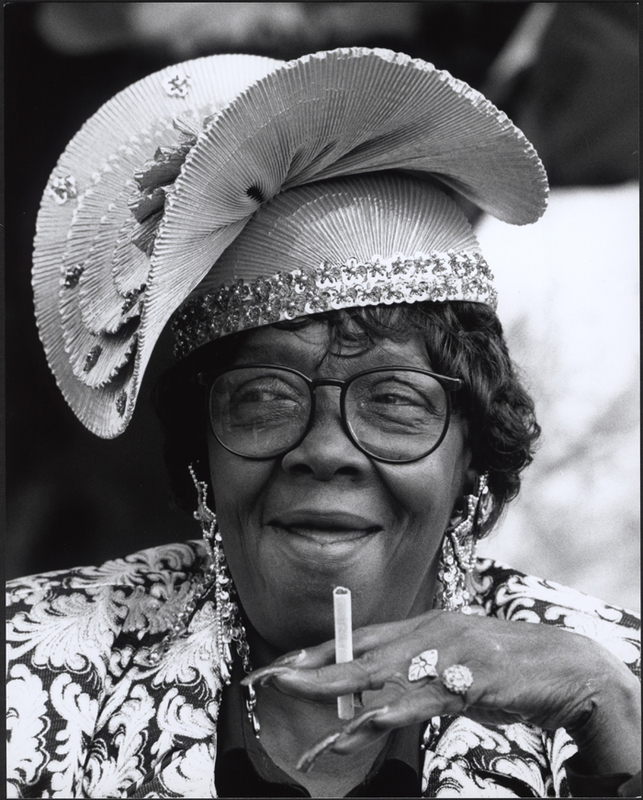 All of Evie Quarles’ photos are available to researchers through LaBudde Special Collections. Petite with a soft southern drawl and a shock of silver hair, Evie Quarles found her muse at the Grand Emporium, a smoky, boisterous blues joint located near 39th and Main Street in Kansas City. While taking a photography class at a local community college in 1997, Evie became enamored of taking and developing photos. As part of a project for her final exam, she began taking photographs of the musicians, dancers and assorted characters perched at the bar at the Grand Emporium. Becoming hooked on photography and the Grand Emporium, Evie returned night after night to photograph the musicians and fans dancing and milling around the club. She found that the black background of the stage perfectly framed her sharp, intimate portraits of the blues men and women that played there night after night. 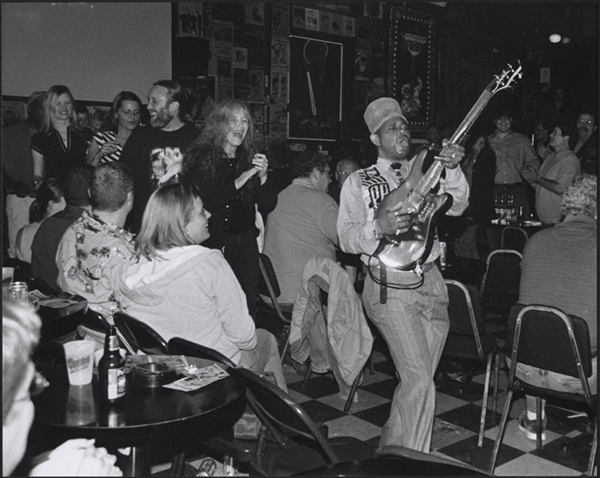 For the next twenty years, she documented blues concerts, clubs, and festivals in Kansas City. Navigating her way through crowds at festivals, clubs, and late night jam sessions with her camera hanging from a strap around her neck and a vest full of film, Evie captured musicians in mid note, dancers swirling across dance floors, and fans carrying on in the audience. In 2013, Evie donated 856 prints to LaBudde Special Collections in the Miller Nichols Library at the University of Missouri—Kansas City. The breadth and depth of the self-curated collection is stunning. The collection ranges from Kansas City jazz legends at the Mutual Musicians Foundation; the downhome charm of the Kansas City, Kansas Street Blues Festival; Blues Masters at the Crossroads, Kansas City Blues and Jazz Festival along with the Grand Emporium and other clubs around Kansas City. Living Blues Weekend Photo Shoot, Cotton Candy 9/18/99. 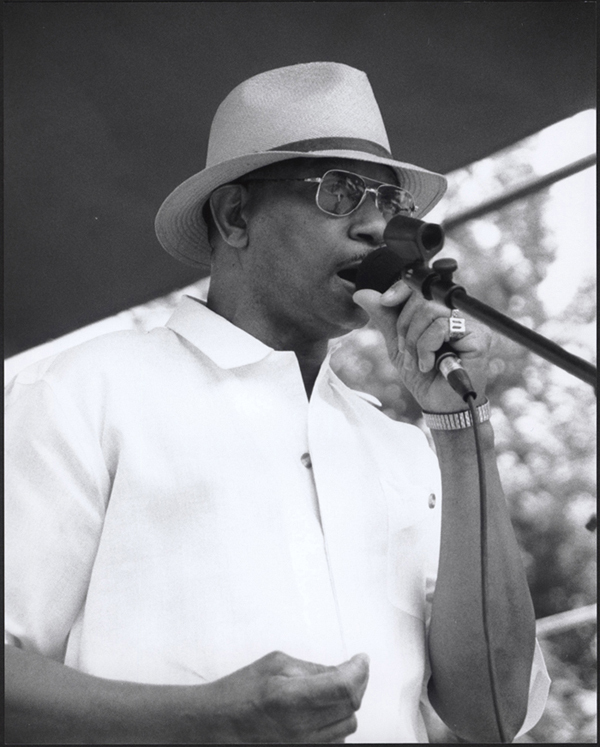 Kansas City, Kansas Street Blues Festival: Tommy Soul Williams 6/29/02. Lil’ Ed at Grand Emporium 5/15/04. 5th Annual Blues Masters at the Crossroads, Blue Heaven Studio: Robert Lockwood, Jr. 10/19/02. 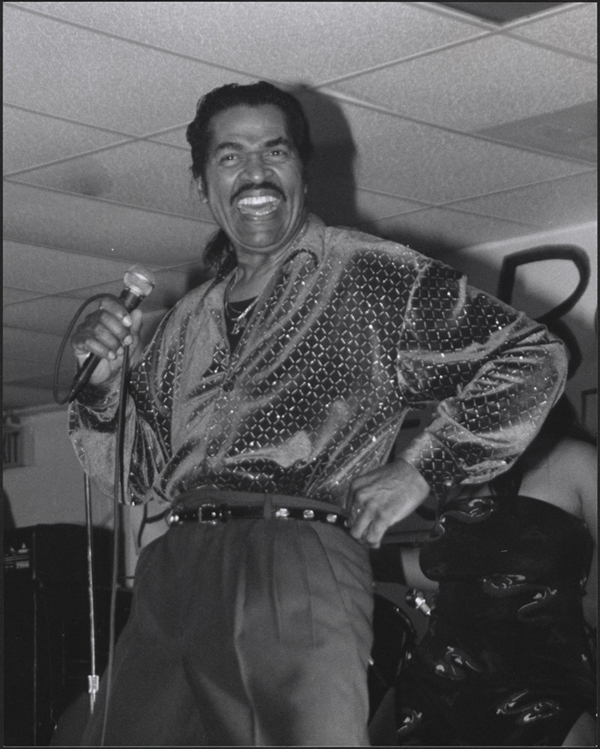 Bobby Rush, Thanksgiving Blues Breakfast, KCKS 11/27/03. 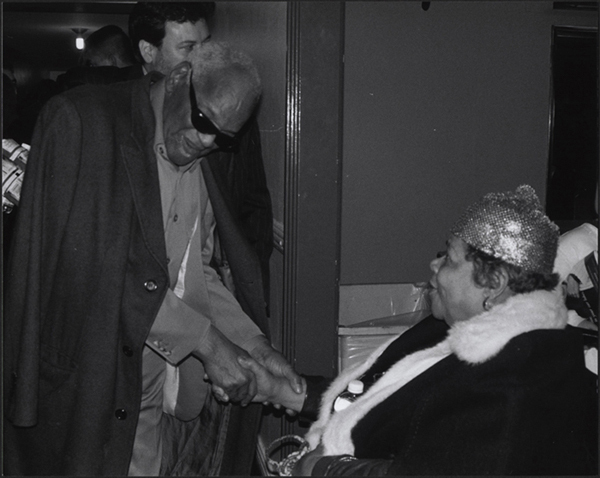 Ray Charles and Myra Taylor at The Music Hall 1/11/02. Consult Evie Quarles’ LaBudde Special Collections page to see the collection finding aid. See also: Evie Quarles and Her Muse. The Marr Sound Archives handed me an uncatalogued box set containing 12 CD’s from the Norman Saks Collection. Each disc contains a compilation of works featuring a single jazz musician in an ensemble. I opened the linen-covered box to find not only the 12 CD’s inside but also a linen folder with 12 mind-blowing art prints by artist Johannes Vennekamp. 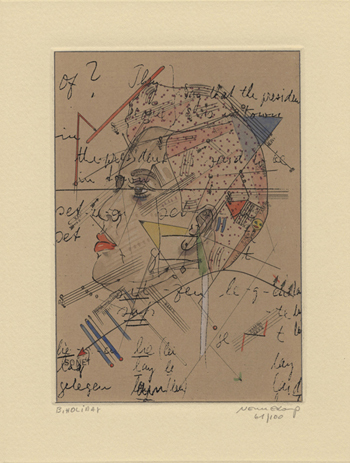 Vennekamp depicts the face of each of the twelve artists in pen and ink sketches with some additional coloration. 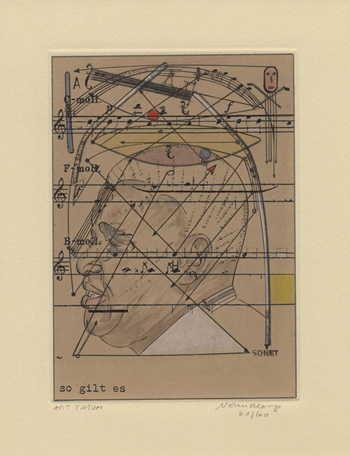 Upon closer observation, the staffs, notes, clef signs, geometrical lines, and instruments depicted around and across these faces all indicate the mental processes associated with a musician’s performance style. Performers must adjust their pitch, dynamic level, and rhythm to blend and balance with the rest of the ensemble while simultaneously playing or singing the correct notes in the correct key and time signatures. Then add to this process what the mind of a jazz performer must use in order to accomplish the additional tasks required of improvisation. These additional tasks require the musician to not only be in the current performance moment, but to also be thinking ahead to how he or she is going to serve up their variation of the melody in solo form. Their mind is now split between the current moment and a future moment in which notes should be bent, melodic phrases should be played louder or softer, a jazz scale of that key should allow an attractive solo within the melodic line, and rhythmic changes should be accomplished without losing the rest of the accompanying ensemble members. How does one depict this mental process in artistic form? 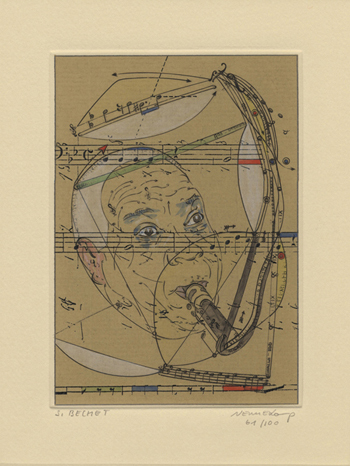 Take the Sidney Bechet print as an example: The music staffs and notes are above, across, and below his face. The music rising from his saxophone ascends, bends and twists together like smoke rising from a familiar cigar. Or maybe the music descends from the white light of music above his head in a waterfall of splashing tones and rhythm. The music is so imbedded in his soul that it even comes out as wrinkles in his forehead. Sidney Bechet, Sax, by Johannes Vennekamp. 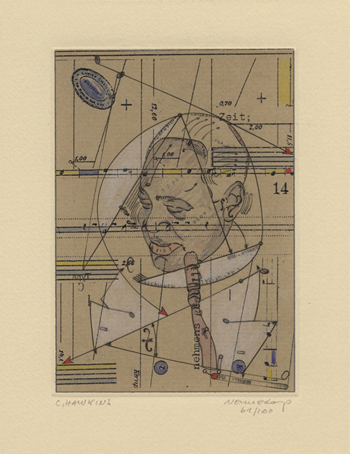 The next example is the pianist Art Tatum’s print: Art’s mind is divided precisely by geometrical arrows of rhythm and yet the lines of music around his head are bent. The collar of his suit jacket is a treble clef staff. The picture ends with a whimsical man whose body is yet another staff. The words in German across the bottom state, “So it is.” So it is that the music will be bent and whimsical while following the rules of time and key signature. Coleman Hawkins’ portrait depicts him taking a break from playing, with a sideways glance back to the ensemble. The bent lines around his cheeks and ears not only demonstrate that he’s listening, but that he’s pleased with what he hears. 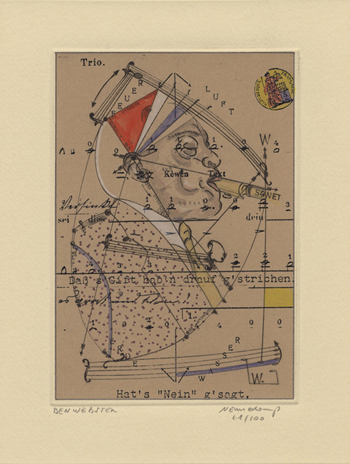 To me, the word “Zeit” (“time” in English) and the “f-hole” of the bass with the bent arrow beside it denotes that he’s listening to the drummer and bass player set him for his solo. We’ll end with Ben Webster’s portrait. With each bent staff around him there are the words “fire, air, water, earth.” It’s as if Ben is calling forth all of the elements of the universe to accomplish his statement made through his improvised solo. I don’t know if all of the details of these portraits can ever be absorbed, but isn’t that just like trying to improvise a melodic line? It’s always new, never predictable, in the moment yet beyond the moment. These portraits depict jazz precisely. To see all of the portraits, feel free to come by The Marr Sound Archives and ask for “Masters of Jazz, vol. 1-12” on Storyville Records. Listen to the music as you study the portraits. You won’t regret it. Vicki Kirby catalogs special formats metadata for UMKC Libraries.